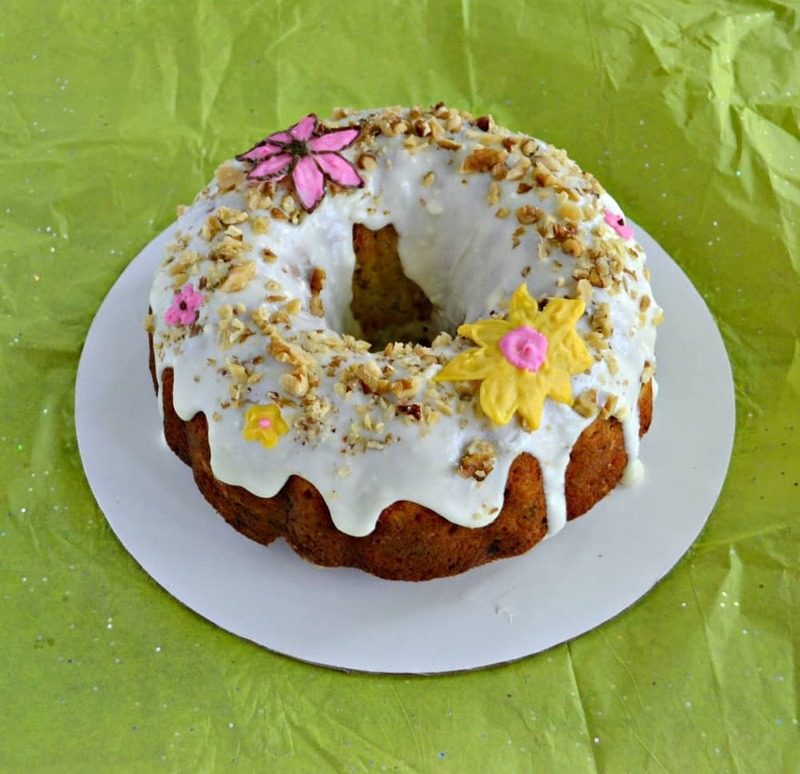 One of the first recipes I ever published on my blog was for Hummingbird Cupcakes. 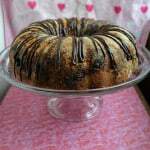 When I first started out I did a lot of baking and shared the recipes I created or made. The photos of those cupcakes were horrible but the recipe is still really delicious. 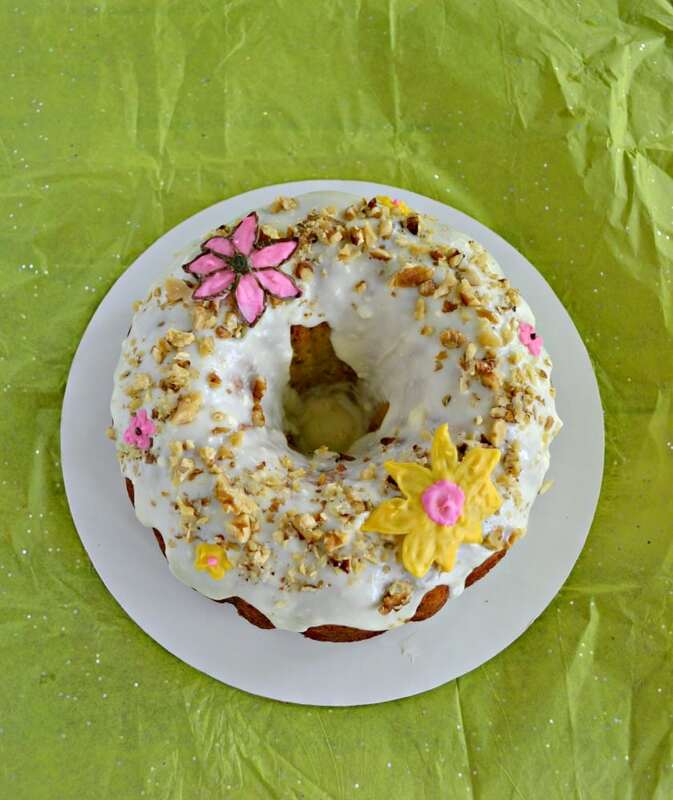 I love the combination of bananas and pineapple with nuts in a cake. 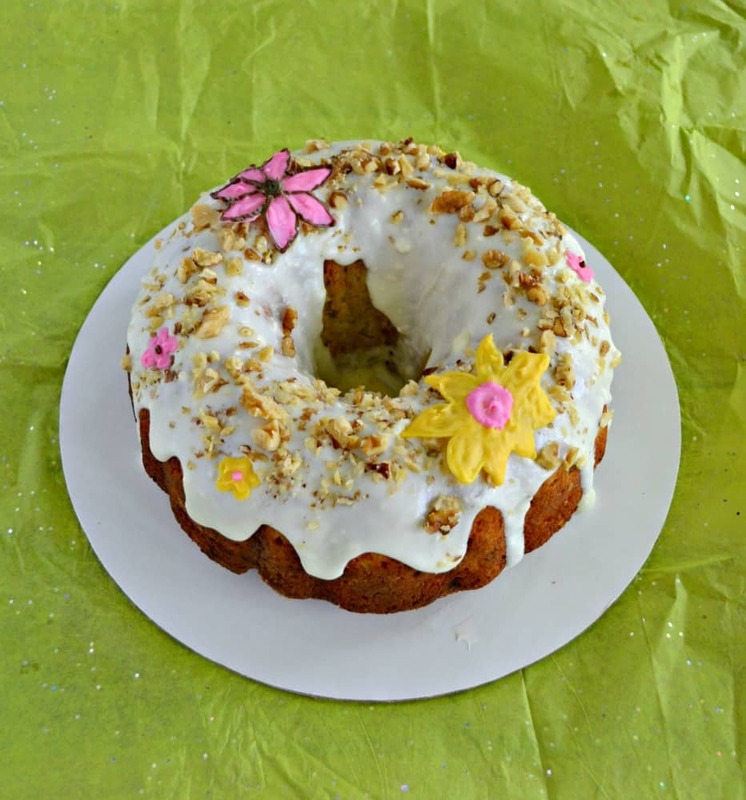 It’s moist, tropical, and delicious. Fast forward three years and I decided to give the Hummingbird Cupcakes an update. I turned them into a delicious cake with a cream cheese frosting. The photos were better, the cake was better, and I was pretty please with it. Fast forward three more years and here we are. When I have a recipe I like I just can’t leave it alone. 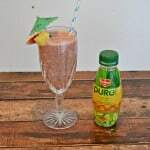 I haven’t changed a whole lot to this recipe but I have added and deleted a few ingredients. I added in brown sugar and more bananas and then left out the applesauce. I also changed up the frosting to make it more of a glaze. 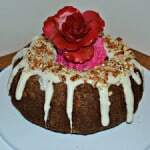 The resulting Bundt cake is totally delicious. It’s moist and flavorful and perfect for a party. 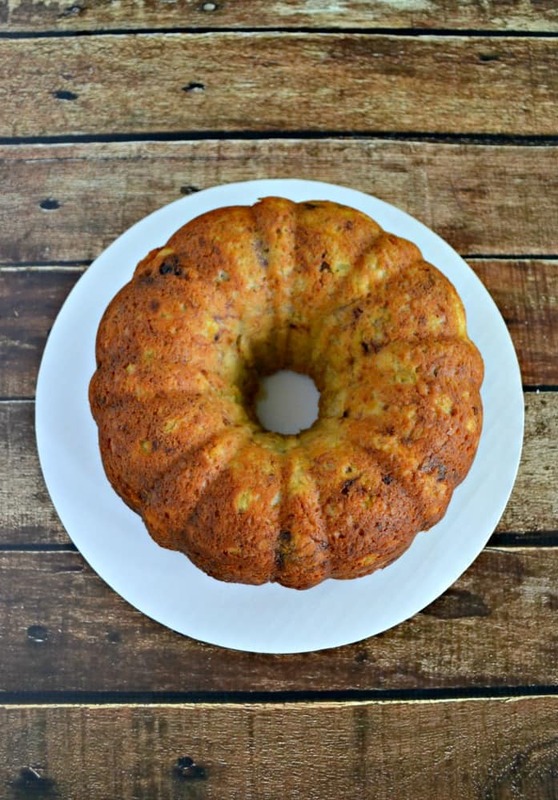 I love how the pineapple and bananas make the cake moist while adding a ton of flavor. 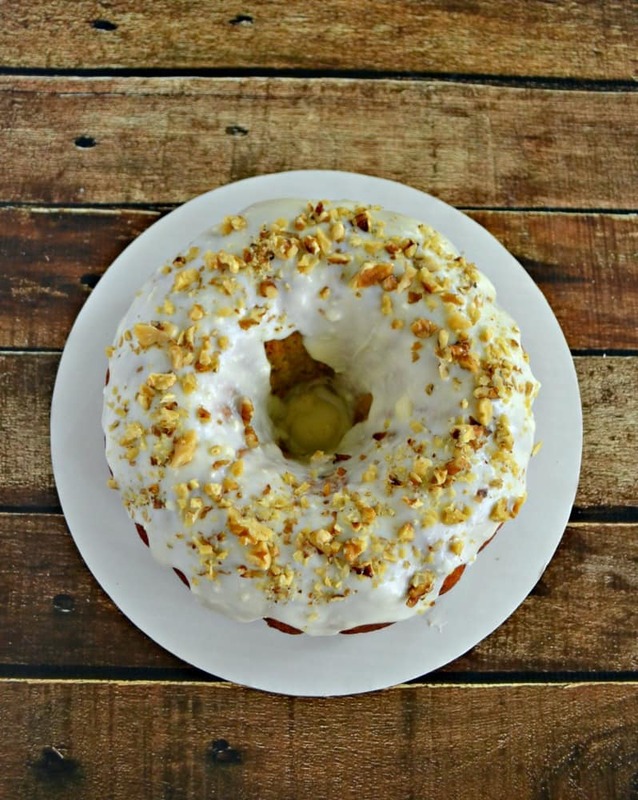 It pairs so well with the sweet cream cheese glaze. I sprinkled pecans on top just like I did with the original cupcakes but I also wanted to make it prettier. I piped colored chocolate onto parchment paper in the shape of a flower and then wrapped it around an empty paper towel tube. It dried in a curve that fit perfectly on the cake! I’m super happy with how this cake tastes and looks. I think the pictures are the best yet and so is this recipe. So what are you waiting for? I’ve been working on this one for 6 years and I’ve finally perfected it! 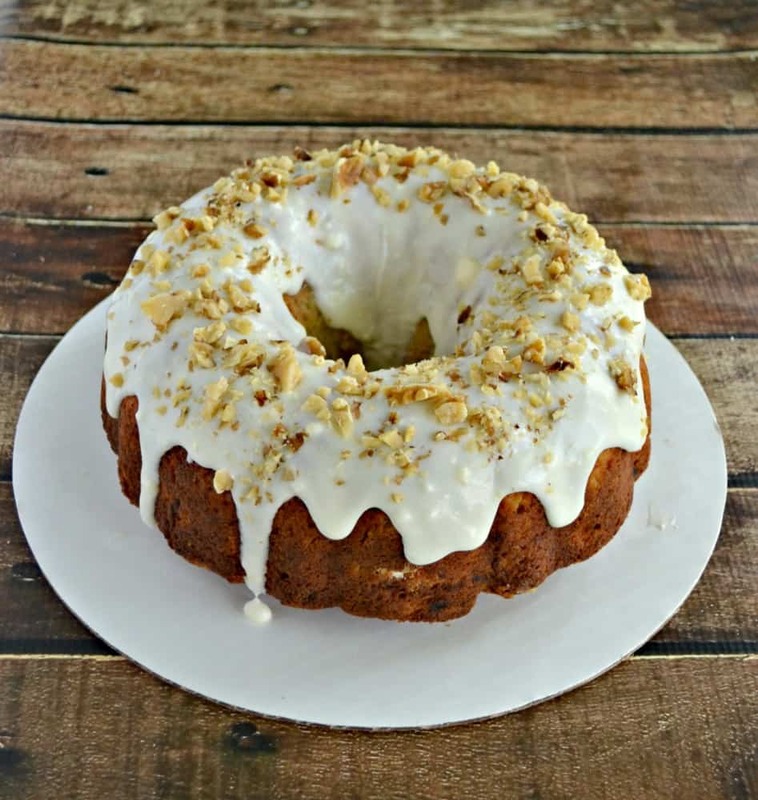 This tropical cake is filled with bananas, pineapple, and pecans then topped off with a cream cheese glaze. Preheat the oven to 350 degrees. 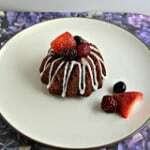 Prepare your Bundt pan by spraying it with cooking spray and then lightly dusting with flour. In a large bowl combine the flour, sugars, baking powder, cinnamon, and salt. Mix well. Stir the eggs, bananas, pineapple, oil, and vanilla into the flour mixture. Mix until the ingredients are just combined. Fold in half the pecans. Pour prepared batter into the prepared pan and bake for 1 hour or until a toothpick inserted into the center comes out clean. Cool the cake on a wire rack for 20 minutes. Run a knife around the edges and then flip the pan over and remove the cake. Cool for at least 1 hour on a wire rack. To make the glaze combine the cream cheese and butter in a bowl and beat until smooth. Add in the powdered sugar, vanilla, and milk and mix until desired consistency is reached. Spread the glaze over top of the cake. It will drip down the sides which is fine. Sprinkle with remaining pecans. I also made some chocolate flowers to decorate the cake which I think made the cake look really festive!